My daughter loves squishy toys, she plays with them all the time and loves to squish them. Does anyone else have a child that loves them too?! 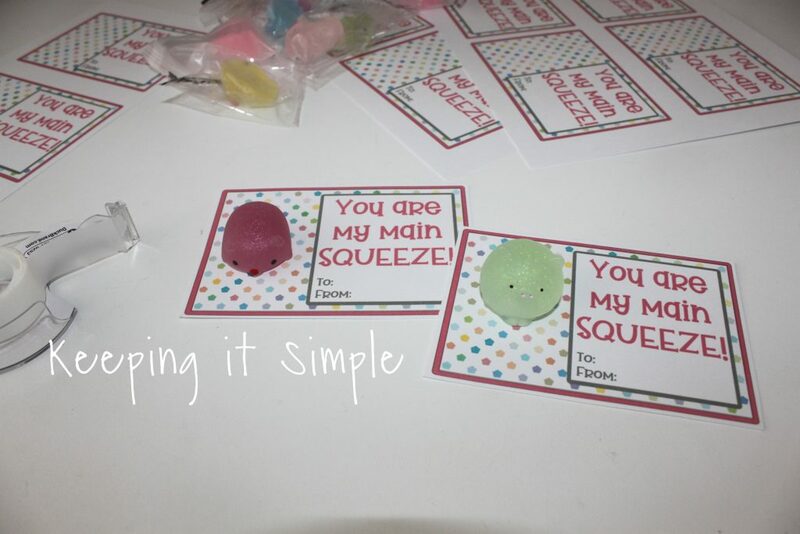 Well since she loves them so much, I decided that for her valentines this year, we would make some fun squishy valentines. I found some super cute glitter mini squishies online, so I got those, made up a printable for them and we made them up for her class. These were super easy to make and my daughter loves how they turned out! This is how we made them. 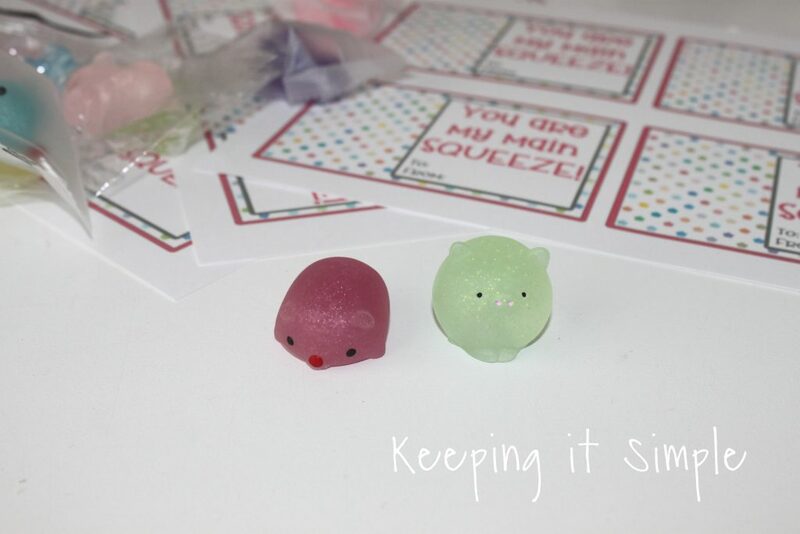 First we started with the mini squishies and then I printed out the printable out on white cardstock. 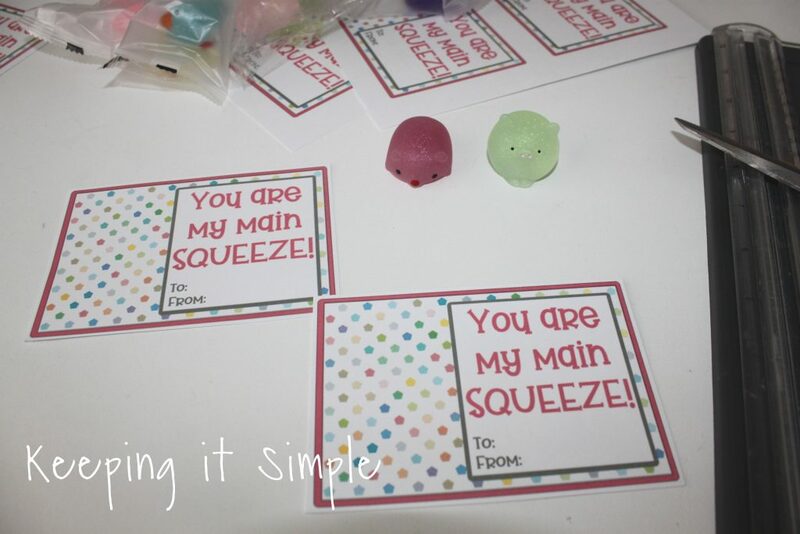 Using a paper trimmer (you can also use scissors), I cut out the printable. 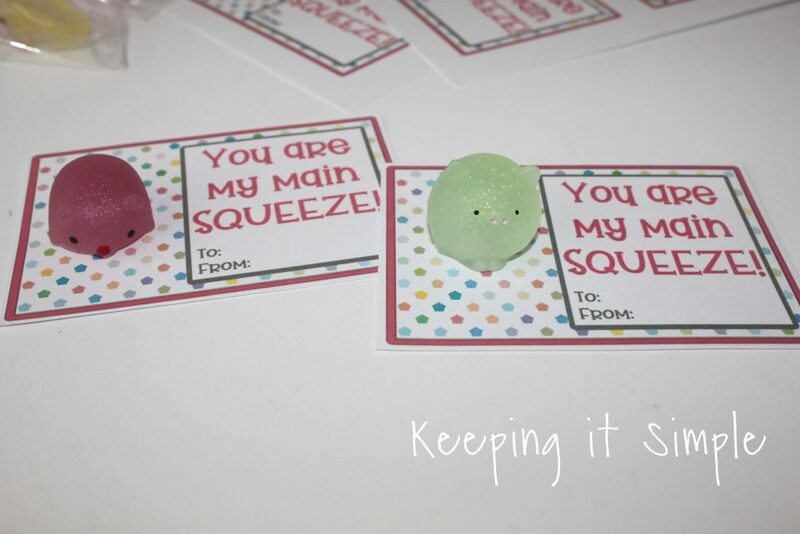 Then using tape, I taped the mini squishies onto the cards. 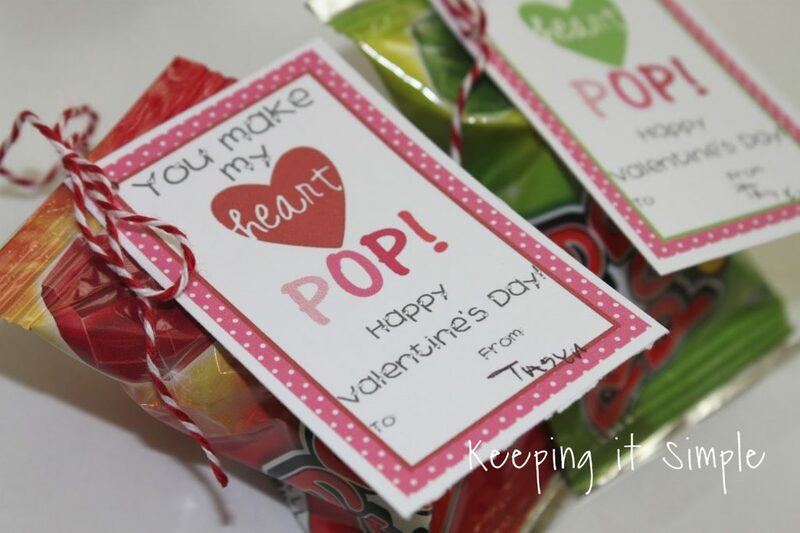 If tape doesn’t work, then you can use glue dots or just leave them in the package and tape or staple them onto the card. That’s actually what we are going to do for hers, I juts wanted to show you what the cute little squishies look like :). And that’s it!! Aren’t they so much fun and so cute! 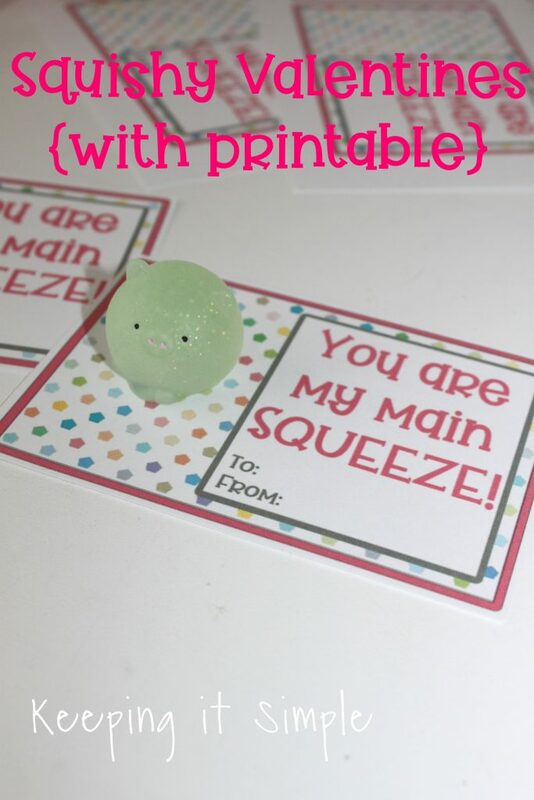 My daughter is so excited to hand out her squishy valentines to her classmates. 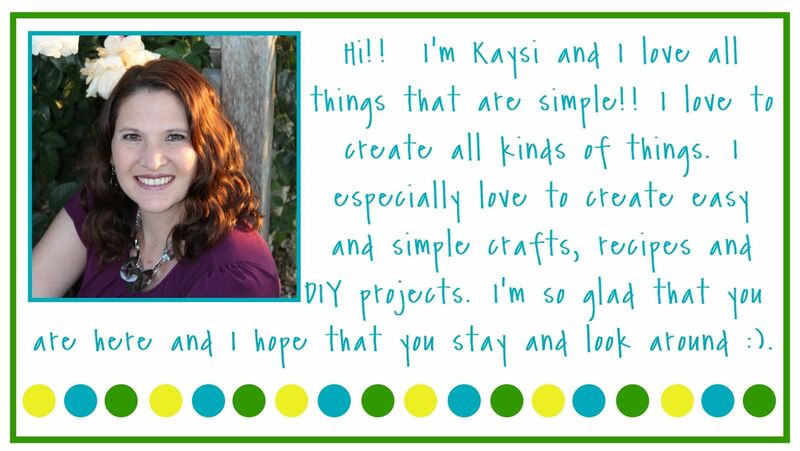 You can get the free printable here. This is what it looks like with the mini squishies still inside the packages. Still super cute and fun! 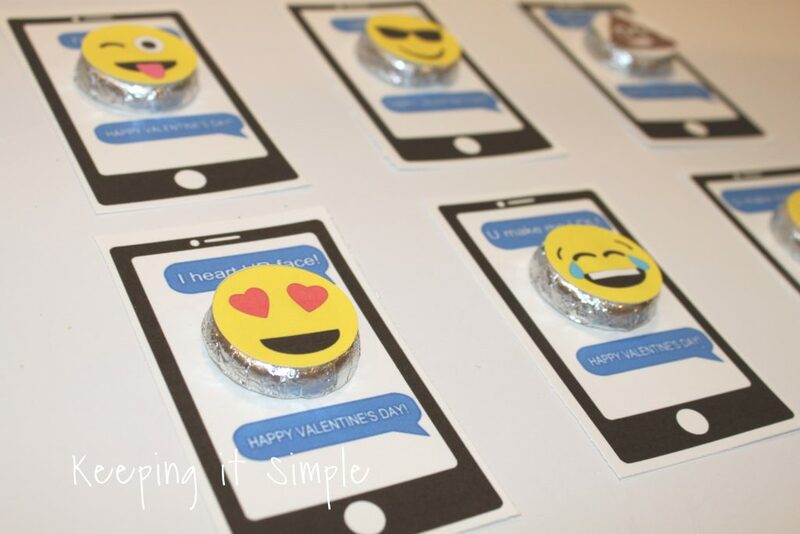 Make sure to check out my other homemade valentines.